Construction planned to relieve congestion at Novi Road and Grand River Ave.
Nearly five million dollars will be put towards expanding Crescent Boulevard to help alleviate congestion near Novi Road and Grand River Avenue. 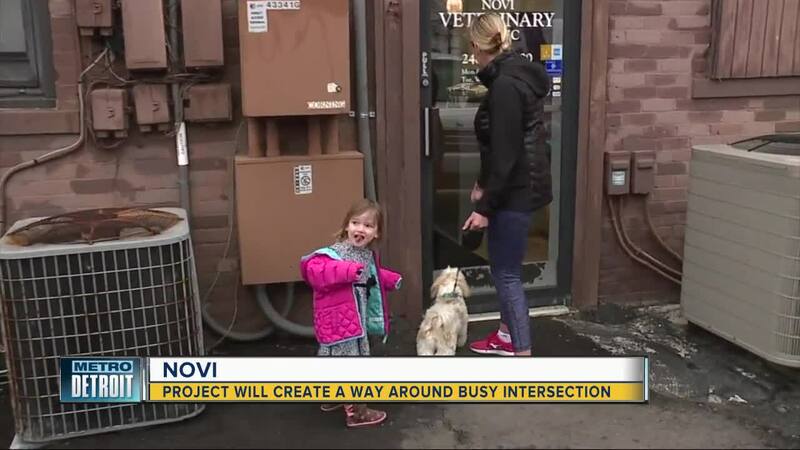 NOVI, Mich. (WXYZ) — Nearly five million dollars will be put towards expanding Crescent Boulevard to help alleviate congestion near Novi Road and Grand River Avenue. The plan is to expand Crescent Boulevard west of Novi Road so that it connects to Grand River Avenue. It would be a 1,050-foot-long four-lane road with a traffic stop at Crescent Boulevard and Novi Road. People that drive on the intersection frequently say they do what they can to stay away from the intersection of Novi Road and Grand River Avenue during rush hour. “I just try not to really come down here around those times, like around five-ish, just kind of avoid it, not go near this area,” said Northville mother Kerry Vanairsdale. Novi Assistant Manager Victor Cardenas says this is something that Novi city officials have been planning for years. “For the last decade we’ve been going back and forth to making this great road a reality,” said Victor. The road expansion will also make it easier to get to the Adell Center, currently under construction to create hotels, restaurants and businesses .